For Those Who have the Ears to Hear. I just got back into Europe and we were having a workshop in Belgium. We were on our second day of mantra practice and I slipped into visionary states. I began to have visions of how the Nagas/dragons manifest in different forms around the world. I saw Kannon Sama, the Goddess of Compassion in Japan riding a great dragon in the sky. This image came to my mind as an ink painting that had been given to me by a Japanese girlfriend. The great power of the dragon is well known in the East. But this image represented power combined with compassion of Kannon Sama. The image makes me reflect that power should always be coupled with compassion otherwise it can be misused. The next image appeared before my mind’s eye. 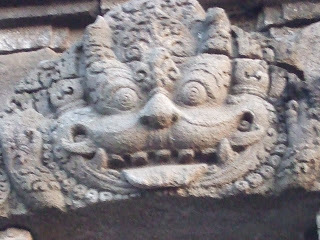 I saw the shape of a dragon that appeared as the cracks in the cement in the walls of a building in Java. 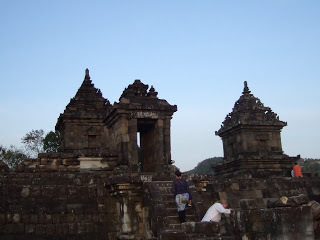 This building went though major destruction after Java’s big earthquake. The dragons and nagas are well known to shake their tail and the earth begins to tremble. They are the rulers of the earthquakes. I now reflect on the intense stress that this earth absorbs from the thoughts, emotions and actions of humankind. The build-up of this negativity needs to be released by nature sooner or later.When I first saw a satellite image of the tidal wave that hit Thailand I noticed an image of an angry dragon in the image of the waves with an open mouth. Many countries of the East make offerings to the Nagas and Dragon spirits of the land, but as western materialism took over in these countries, the consideration for the Earth became less important and the Naga Spirits began to react. Then Naga Queens of India manifested before my eyes as beautiful females whose lower bodies were the tails of a snake. My friend Jacquelyn shortly thereafter wrote to me and mentioned that she had just started a practice of Mandarava the Spiritual Consort of the Buddhist Master Padmasambhava who brought Buddhism to Tibet. Mandarava was a Princess of India She told me that one of the spiritual titles of Mandarava was the Queen of the Nagas and that there were stories of how she liberated the nagas, bringing them to enlightenment. I paused and reflected about my own discoveries about the inner nagas representing the liberation of our negative feelings within emotional body. Was this the truth behind some of the stories of the Enlightened Ones who have had command of the Naga realm? Have they transformed their lower emotions to such a degree that the nagas within nature also have become liberated though their enlightened process? My vision then drifted to the Temples of Bali where sacred spring water is gathered and believed to bless one with different virtues if one prays, make offerings and bathe in the water. The stone images of nagas were used as waterspouts from which fresh spring water streamed, to be collected in sacred pools for bathing. That summer I had visited and bathed in these pools and made many offerings in Bali’s sacred waters. It was a summer of a great emotional cleansing and the beginning of great transformation. In vision I then saw the ancient Initiates of Egypt, those who wore the cobra crown. The serpent wisdom really is the pathway of the central channel as it traveled though the different chakras in the human body. Those who deserved to wear the cobra crown had been crowned with the wisdom of those sacred initiations. The appearance of the curled dragon on the mound of San Michel in Northern France then appeared before my eyes. I had visited this sacred pilgrimage a few years before. San Michel is an ancient city build on a hill in the middle of sandy wetlands. The medieval builders boasted that they had the help of Saint Michael had who had conquered and killed the dragon of the land. But as I walked the pathway into the medieval city I found that the power of the green dragon still could be seen in the land as his scales became mossy rocks that spiraled around the villages’ walls. When I arrived in the cathedral in the crypt of the Black Madonna I found a rock-shaped yoni that most likely was used by medieval women as a fertility stone. When I finally arrived to the top of the castle walls I could look out and see wet sands surrounding the mound of San Michele. The sand mixed with water created serpentine shapes that shimmered silvery in the afternoon’s sunlight. However, beware of walking out in the sand! The ever-present quicksand of which the local signs warn you in three different languages just might swallow you up. The nagas and dragons still ruled the land of San Michel; they had not been killed, just tamed a little. In my vision I then saw the rainbow serpent, Quetzacoatle, in the sky that settled at the feet of Our Lady Guadalupe of Mexico. Quetzacoatle is known as the winged serpent in the Aztec pantheon. He was the god of civilization and learning. He was a mythical prince that became an avatar for Mexico. Our Lady Guadalupe is known in Mexico as an aspect of the Black Virgin. But her origins are even older then the introduction of Christianity in Mexico. Her true origin was that of an Aztec Earth Goddess. I have a friend Rigzin in whom many cultural currents have blended. He is steeped in the Tibetan Buddhist tradition and also had experience with Native American and Aztec spirituality. He had his own reflections of who the God Quetzacoatle might have been. He said that Quetzacoatle was a Naga who had the obtained rainbow body. Rainbow body is found in the Tibetan tradition. Rainbow body happens when a spiritual adept masters the very elements of his physical body. Then, upon the death of his body he or she is capable of transforming it into rainbow light. There are stories of Tibetan Masters who have manifested Rainbow Body, leaving behind just a few fingernails and a little hair. My inner vision then showed me the great Amazon River in South America. I realized that South America had its own legends and rituals of working with the Nagas that were a part of their cultures. A few of those traditions involved the digesting of hallucinogenic plants that grew deep in the jungle. I saw the Naga Spirits that were crawling though jungle vines that wrapped around the trees. They could be dangerous to humans since their medicine revealed the dark inner mysteries of the unconscious mind and not everyone was ready to face their inner shadows so quickly. In the last part of the vision the Naga Spirits revealed to me the lessons of attachment. They showed images of a python that was squeezing the life out of its prey. I realize that human attachment to one’s desire can be like a giant python. We become so attached to what or who we desire, that we can literally squeeze the life force from love in a relationship or the energy from a situation. Then the last image I saw was the Caduceus staff with two entwined winged serpents that is used as a symbol by the medical profession. This is an ancient symbol for healing. This symbolic shape is found in the double helix that forms the DNA.The healing of the Nagas is both inner and outer. The inner healing is the transformation of our negative emotions that might poison others and ourselves – into wisdom and loving-kindness. 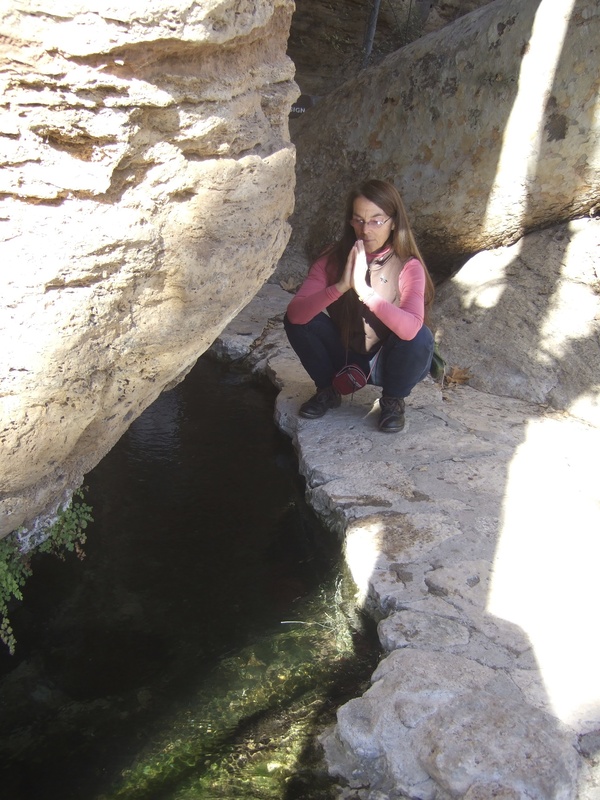 The healing of the outer Nagas is the recognition that we are not separate from the water we drink, the air we breathe, the earth that we are nourished by through our food or the fire that warms us.